Are you planning a holiday to the Meghalaya? 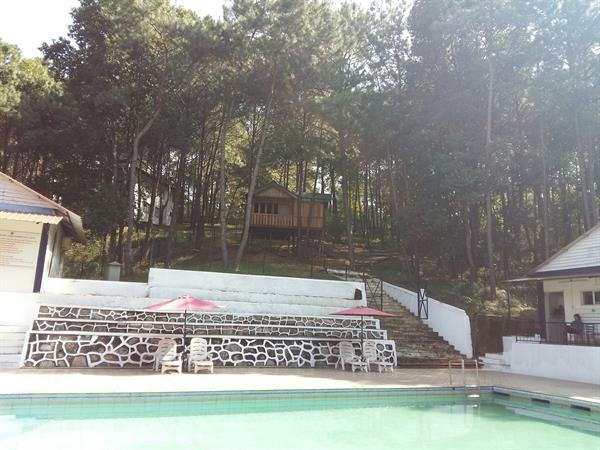 Searching for information about the attractions in and around Shillong? Here is one memorable attraction described for you: the Umiam lake near Shillong also called as Barapani lake. This article will provide you with information about what to see, eat and do near this lake. Come join me in reading what this attraction has to offer and soak in its serenity and treasure it for a lifetime. It was a planned trip to the North East, in the week of Diwali. We landed at Shillong airport from an Air India 40 seater flight after having a wonderful aerial view of the green northeast mountains. We took a taxi ride from the airport to reach Shillong town which is about 35 km's away. The taxi drove along the winding roads across the hills and crossed a few villages. After some km's, we came across a large lake on one side and the hills on the other side. We could see the lovely view of the lake from around each corner of the hills. The road went uphill and downhill and was woven around the lake in many places. We could not stop taking away our eyes from the lake view. Well, it was like the husband looking at the wife for the first time after marriage! We soaked into the views of the lake, as much as we could get from the taxi. It was then that we decided that we would not rush the visit to the lake but take our own sweet time and bathe in the beauty of this attraction. So this was our last halt on the way back to Mumbai. This was a good decision since we ended up visiting even the Orchid swimming pool and enjoyed a sumptuous lunch at Orchid. It took about an hour to reach Shillong. So here in this article, I have described Umiam lake, a place to enjoy and cherish for a lifetime. Umiam lake is a scenic place about 20 km's north of Shillong tucked away amidst the hills of Meghalaya. This lake is a man-made reservoir and is called as 'Barapani' (big water) by the natives for its utter size. It resembles the 'Lochs', or lakes of Scotland, and is a must-see destination for all tourists. Meghalaya Tourism Department-MTDC has developed this place and the complete management of the lake lies with the Meghalaya State Electricity Board. The lake was formed as part of building a Dam with water flowing in from Umkhrah, Umshyrpi and Umiam rivers. Umiam is a main source of water for the lake. The catchment area of the lake and dam is spread over 220 square km. The dam started construction in 1965 and was commissioned in 1972 and this coincides with the birth of the State of Meghalaya. The dam is the first Hydel power project in the North-east region of India. Apart from using water for hydroelectricity generation, the lake also provides numerous ecosystem services like downstream irrigation, fisheries and potable water for inhabitants of the neighbouring villages. The lake is a major tourist attraction in Meghalaya and also a popular destination for water and adventure sports. Viewing area: About 3-4 km's towards Shillong from the lake, you can stand on the top of the hills and look down upon the lake. The road has a viewing area, will proper railings and is about 400 m in length. This is where you get the top view of the lake. You can see mountains all around, and even a small island towards your left. The place is flooded with tourists and everyone can get a view of the lake. So park the taxi, get out your camera and walk along the railing to capture the wonderful view. We could see people taking selfies, group and panoramic photos of various parts of the lake. You may need a cap and goggles in case you are not used to the sun. This is because there are very few trees around at this viewpoint. After basking in this beauty drive down further till you cross Orchid Resort, and come to the parking area. Garden: Enter into the Lum Nehru park and behold you can see the Umiam lake around it. You can take a walk along the cobblestoned pathways or in the garden and have different views of the lake. Or you could just sit back and relax and enjoy the serene atmosphere in lush green environment. There are cemented platforms with shade for people to sit and watch the waves lapping on the banks. There is a small cafeteria here which provide basic refreshments. The grassy slopes are not uniform and hence you can watch the lake even when you lie down. We met a big group of 50 people, who had come here for a one day picnic with families. They were from a small Assamese place, about 100 km's away. They had two cooks with them, along with utensils and the food to be cooked. In a corner of the garden, there was an open fireplace where they used to cook food. I am sure they all must have had a whale of a time. We left early to catch a flight for Kolkata and we missed to find out how they all enjoyed. Water sports complex: at one end of the garden and on the banks of the lake is a water sports complex, which offers many water sports and adventure activities. Tourists typically visit this spot for kayaking, water cycling, scooting and boating. The rates are reasonable and we had a wonderful boat ride for about half an hour. The boat took us across the lake and it was fun. Orchid Resort: The campus consists of a lake resort Orchid Resort. So when we entered near the campus, we saw a board mentioning swimming for Rs 250. My husband is crazy for swimming and he thought that a small part of the lake was cordoned and we could swim. So climbed down a flight of stairs and came across a swimming pool, just on the banks of the lake. Then we realized that it was part of the Orchid Resort facility. The view from near the pool was breath taking. From among the trees, you can see quite a large part of the lake with the hills on the other end. The resort has very good ambience. You can sit on the lawns and the lake is just in front of you. You can have buffet lunch or dinner or enjoy the a la carte along with watching the serene atmosphere along the lake. We had lunch here and found that the food is reasonably priced, of handsome quantity and tasty. The place has ample parking area for guests. Even the hotel is reasonable. We regretted not booking this place for at least one night. Evening and early morning walk in this serene atmosphere are not worth missing. On the downside, the lake is starting to become polluted and there is also a problem of silting. Some causes of silting are upstream encroachments, deforestation, blockage of natural drainage systems and unscientific mining in the catchment area. I would like to end this blog by saying that: Umiam lake is like heaven on earth. Do not miss a visit to this lake if you by chance take a tour to North East/ Meghalaya/ Shillong. Good article about Umiam Lake. 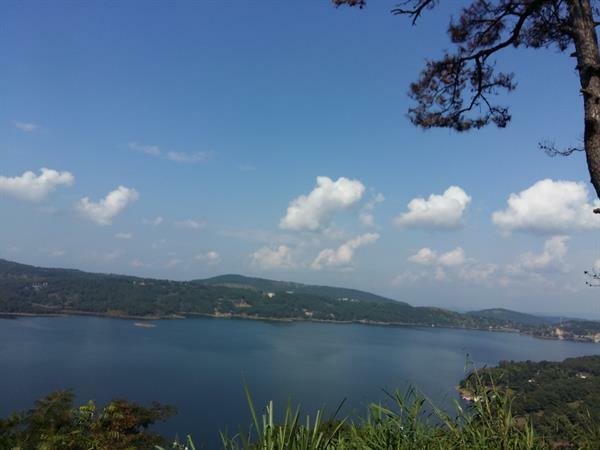 Umiam Lake near Shillong is a must visit destination in Meghalaya. The scenic beauty of the lake is mesmerising. Don't forget to visit Umiam Lake if you are visiting Meghalaya.